Transition of karate martial art through regulations to sport discipline was a long term process. It was started by Japanese students in 1936 of their first competition modeled by Western sports. The Japanese tradition itself defined the basic terms of behavior and control of karate techniques. Infulenced by Judo art new terms were introduced such as – Ippon and Wasa-ari, and also other terms from Budo art such as Zanshin, Diae etc. First English printed rules were published by Sensei Hidetaka Nishiyama in the book called: „Karate: The Art of Empty Hand“ in 1960, defying the basics of further development of this martial art. In Yugoslavia, in 1964 – JKA rules were used with constant updates and modifications up to 1973 when new book was published – „International karate rules and regulations with comments and practice examples“ (Sport Book, Belgrade, 1973). It is interesting to mention that, during this period in Europe since 1966, the Japan Karate Association (JKA) rules were applied, when our representative of Yugoslavia (at that time assistant professor) Vladimir Yorga, in recognition to his outstanding contribution - was appointed as a chief referee of final team mach between France and Great Britain (European Championship, Crystal Palace – London). 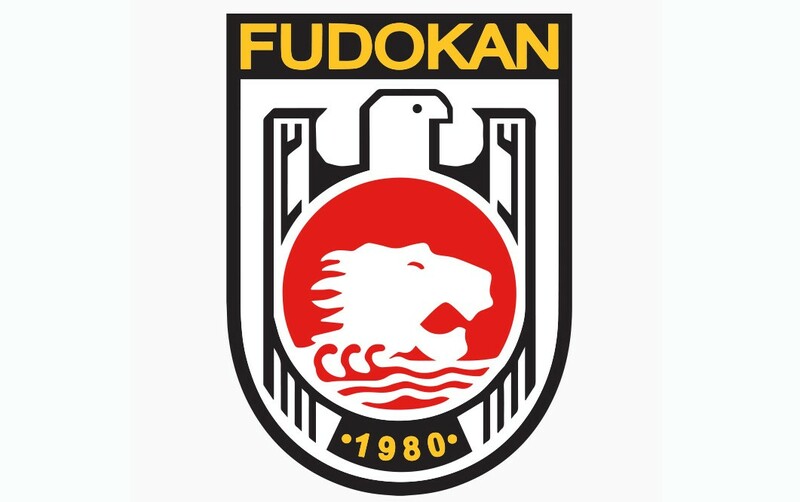 When Fudokan organization was founded in 1980 – these rules were recognized as official Fudokan competition rules and regulations that were rebuild and updated in accordance of development of Fudokan organization. Realizing that the rules were the basics of methodology of training, and putting in front of coaches and instructor the basic idea how to win on competition (also realizing that rules are in the base of every sport discipline) Sensei Nishiyama started serious working on new rules of traditional karate, and in 1995 he published first Traditional karate Rules and Regulations of International Traditional Karate Federation (ITKF). Starting from the idea of Budo Karate - Fudokan organization has developed its own rules and regulations that were, in their widest foundation, focused on keeping karate skills - but expressing all its specifics to the maximum. New Fudokan rules are based on scientific research, discoveries and investigation in field of sport science, sport medicine and methodology of training – and they are designed primarily to protect the traditional art of karate, and secondarily to point out the competition system and results. Although Fudokan, as a unique karate style, was officially presented to the public in 1980, it's roots date back in 1960's. Yorga brother’s experience in karate as a martial art, but also as a sports discipline, proved to be valuable in early days of scientific research. As young medical students, later professors at the University of Medicine in Belgrade (now both full time university professors) had more comprehensive and complete approach to karate. They realized how incredibly beneficial karate was to the human body and health, even though there was no scientific evidence on that subject at the time. Along with a group of assistants, Ilija and Vladimir soon began intensive medical research. They did various measurements, anthropometric characteristics, biochemical changes and blood characteristics during the activity, etc. What was particularly interesting was determining level of vitamin C within the body, as one of the supplementation factors – the measurements before and after the training have shown high body consumption of this vitamin during the activity. Their scientific research was presented in more than 250 articles in different medical and scientific journals. Their intention was to forward their acquired knowledge to others, and also to present karate as a beautiful and beneficial martial art. In 1967, Vladimir and Ilija proposed to introduce weight categories in karate. First National Karate Championship in Yugoslavia was held in Zagreb (1968) in open category (the chief referee of final match between Donatovic Lovre and Ilija Jorga was Berislav Jandric, the first Champion was Ilija Jorga). By project of Dr Vladimir Yorga and his associates, on second National Championship of Yugoslavia held in city Pancevo (1969) - Yugoslavia became the first country in the world to introduce five weight categories in karate and open category. The first Championship for women in kata was held in Yugoslavia, in 1969. in Pancevo (for the sake of comparison, the European championship i kata held in London, in 1971, did not separate the gender categories). First official Champion in women kata category was Miss. Olivera Filipovic, second Miss. Tatjana Janjic and third Miss. Ljiljana Uskokovic. Further on, Yugoslavia was the first country to introduce competitions for children, juniors and cadets, official clubs, regional and state competitions. Yugoslavia was also the first country to introduce education for coaches and instructors in karate sport. In 1970 education started in cooperation with the Physical Culture Institute of Vojvodina. Coaches and instructors attended classes of anatomy, physiology, methodology of training etc. Therefore, with no doubt - the foundations of sport karate in the world were set in former Yugoslavia. In October 1970, Yugoslavia participated the founding congress of World Union of Karate Organization (WUKO) held in Tokyo, where JKA rules and regulations were applied with chief referee Sensei Masatoshi Nakayama. Proposition of Dr. Yorga to introduce weight categories (addressed to European karate Union in 1972), was officially recognized in 1975 and the following categories were officially introduced: light, middle, heavy and open categories that will be updated and expanded in future. Even though the certain segments of Fudokan have been explained in detail using the language of the modern science, its main principles are shared with all the other Japanese martial arts – as most distinguished are moral categories and philosophical presumptions – therefore making itself impossible to treat only as a sports discipline. ''Such as the good physical condition requires, above all, mental discipline and mastering many other specific physiological functions, so is the reaching of mental principles of karate inseparable connected to development of physical and bodily qualities of karateka. Only considered together - accepted, applied and developed mental principles - can acquire results that are expected from a true karateka, that he himself most dedicated is reaching for'' (Ilija Yorga, ’’Traditional Fudokan Karate – My Way’’).